Editor&apos;s Note: As we find ways to celebrate the state&apos;s bicentennial, Visit Hendricks County is partnering with local resident and guest blogger Jeff Banning, who plans to visit every county in the state this year, and share his adventures on the Hendricks County Insider Blog. This is the first in his series of posts. As you all might know, the state of Indiana is celebrating its 200th birthday in 2016. With that milestone upon us, I decided to set a a goal this year of visiting every county seat in this great state. I got a great start on this undertaking by visiting 20 county seats in December. After all, Dec. 11, also known as Statehood Day, was the official kickoff of the bicentennial year. 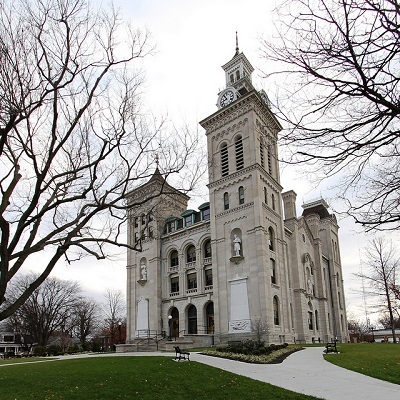 I celebrated by making my first visit to one of Indiana&apos;s oldest cities, Vincennes, visiting the Knox County Courthouse. If you have never visited this area, there is so much Indiana history that is told all over the community. On the way down to Vincennes, and before I even thought of this idea (because I could have traveled to more county seats), I visited Terre Haute (Vigo County), Washington (Daviess County) and Bloomington (Monroe County). Being close to home, I also visited Martinsville (Morgan County) and Indianapolis (Marion County). When I headed home to Richmond for Christmas, I also experienced Centerville (Wayne County), Liberty (Union County), Connersville (Fayette County), Rushville (Rush County) and Shelbyville (Shelby County). Also while visiting my in-laws over Christmas, I was able to take in Lawrenceburg (Dearborn County). I love river cities, and I am very impressed with the improvements that have occurred there over the years. I was able to knock out seven more county seats as my wife, daughter and I picked up on a goal to visit every state park that we had fell short on in 2014. So as we headed north to visit parks like Mounds and Chain O Lakes, we also traveled through Anderson (Madison County), Huntington (Huntington County), Columbia City (Whitley County), Fort Wayne (Allen County), Bluffton (Wells County), Wabash (Wabash County) and Peru (Miami County). I wish I could into detail about all of these communities as they were all wonderful in their own ways. With Indiana&apos;s great highway systems, it&apos;s pretty easy to get where you need to go fairly quickly or as I like to say and do -- take the back roads and enjoy the day wandering Indiana. Try and keep up with me in 2016 whether you are a fellow Hoosier or visiting from another state. This won&apos;t be an easy task, but one I am looking so forward to. I hope you all can enjoy the bicentennial year in Indiana by exploring this great state! Jeff Banning started Banning Engineering with humble beginnings in 1994. Outside of the work place Jeff is involved in a variety of organizations and leaderships positions such as the Board of Directors for: Indiana Economic Development Association, Hendricks County Economic Development Partnership, Hendricks County Park Foundation, and Citizens Bank. He is the Director for Hendricks County Park2Park Relay.